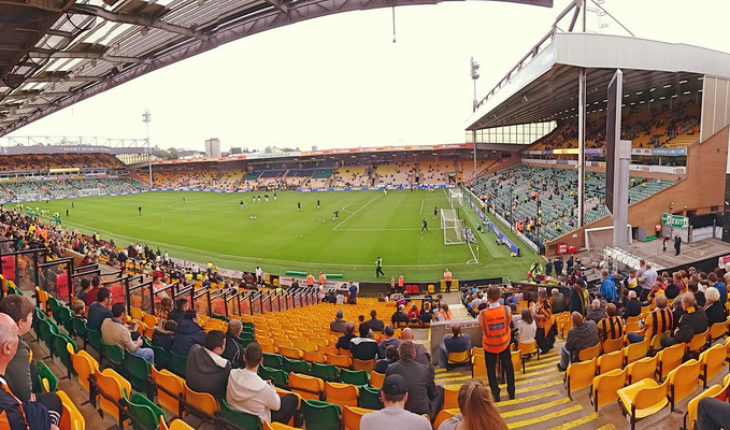 Norwich City will lock horns with their arch-rivals Ipswich Town at Carrow Road in their next Championship outing. Daniel Farke’s men are in a rich vein of form, having thrashed Leeds United 3-1 last weekend at the Elland Road, and will be hopeful of another impressive performance. Moritz Leitner returned to training earlier this week after being out of action for nearly a couple of months. However, he is unlikely to feature this weekend. Timm Klose is a week away from returning but thankfully for Farke, Tom Trybull will be available for selection after picking up an injury against Marcelo Bielsa’s side. Christoph Zimmermann and Ben Godfrey are expected to be stationed in the heart of the backline of the home side owing to the resilience which they offer. After 24 appearances in the Championship, Zimmermann averages 1.1 tackles, 4.1 clearances and 1 interception per game and will look to stamp his authority this weekend. Jamal Lewis and Max Aarons could operate as the full-backs as usual. Both of them have been in a sensational form this season and deserve to keep their place in the starting XI. Under the bar, Tim Krul is likely to be placed once again by Farke. Krul has been the undisputed shot-stopper for his side and has been reliable as well. In the place of Trybull, Alexander Tettey could come in to inject steel in the midfield sector. He is expected to be partnered alongside Mario Vrancic. Meanwhile, Marco Stiepermann might get the nod to start as the central attacking midfielder once again. The creativity which he brings is exemplary. In 27 league appearances, the 28-year-old has scored 3 goals and registered 4 assists. Besides, he also averages 1.4 tackles per game. Teemu Pukki is expected to lead the line against Paul Lambert’s side. He has been tearing defences apart with his offensive endeavours this season. In 27 outings in the Championship, the striker has plundered 18 goals and has also registered 5 assists and will be aiming to add more to his tally. Pukki could be aided by Emi Buendia from the right-wing whereas from the left flank, Onel Hernandez might get the chance to dazzle once again. They will pose huge challenges to Ipswich Town’s backline if they start.